325 p., 15,6 x 20,9 cm. Was Tübingen really a stronghold of orthodoxy, in which students were reduced to forming a Jacobin Club and to reading revolutionary literature including Kant’s subversive philosophy? The author begins by dealing with this question and then presents sources which do away with this cliché. These are papers and documents from the archives which provide information on the academic teaching. 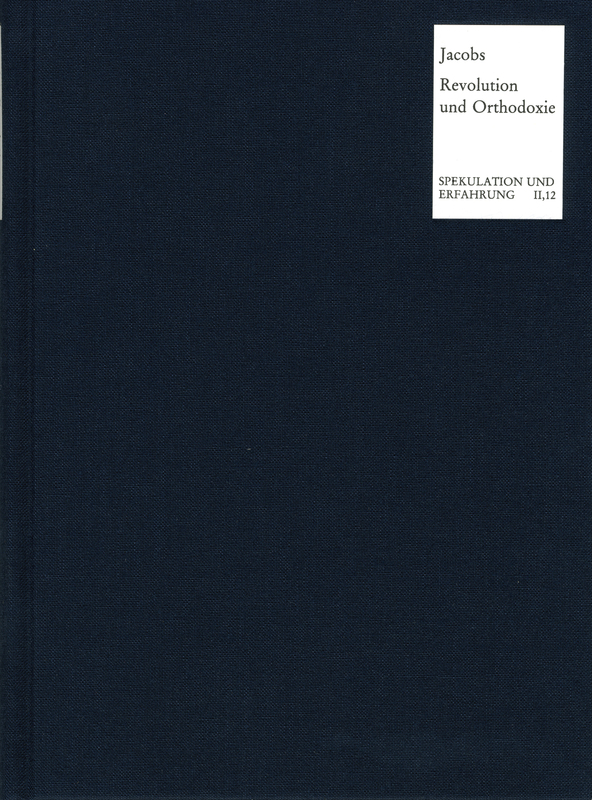 The authors include Hölderlin‘s friends Magenau and Neuffer, the Kantian enragé Diez and Niethammer, who subsequently founded the ›Philosophical Journal‹.